Beyond the academic curriculum, FACE also offers students opportunities to participate in enriching activities essential to their social growth and development. During the school week, all students engage in the community garden program, Paws for Friendship and music. FACE has morning care and has partnered with All Peoples to provide after-school care for registered students. Morning Care is available for students Monday through Friday from 6:45 a.m. – 7:30 a.m. Morning care space is limited. It is offered on a first come first serve basis and priority is given to students enrolled in the morning care program from previous years. There is a 2 week waiting period for new students. After 2 weeks staff will be able to identify students eligible for morning care. Students that engage in high frequency of maladaptive behaviors will not be permitted to attend until the behaviors are infrequent or have met mastery criteria of their behavior intervention plan (BIP). Registration forms are available upon request in the main office. 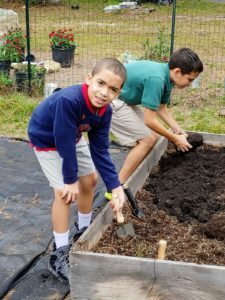 Throughout the school year, FACE students spend time planting seeds, caring for vegetables and harvesting crops for the school’s community garden. 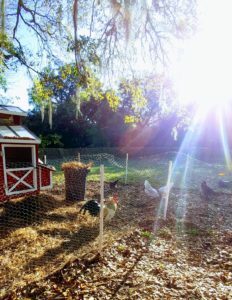 The students gain exposure to sensory activities such as digging, exposure to new textures and smells, and exposure to different foods by tasting the vegetables they have harvested – all of which can be therapeutic and educational. In addition to being highly motivating, the program also helps FACE students develop essential skills in a fun environment while catering to their unique needs and abilities. 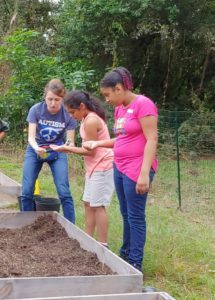 At the same time, they learn social skills by working alongside students from a neighboring charter school who volunteer their time to work with our students. The vegetables produced are later sold to members of the garden share, teaching the students about inventory and money management.